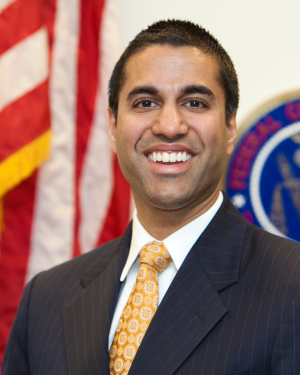 New Federal Communications Commission (FCC) Chair Ajit Pai advocated for “activated” FM chips in smartphones, but said the FCC would not mandate that technology advance. He was speaking at a gathering of the North American Broadcasters Association (NABA). Why won’t the FCC mandate activating FM chips? It’s an open-market political stance, most observers agree. Let the players figure it out. Why don’t phone makers activate those chips? That’s a more complicated answer. It’s easy to speculate that Apple doesn’t want its users lured away from the company’s Apple Music streaming service. When Apple first launched the iPhone 10 years ago (January 2007, long before Apple operated a streaming service) the business rationale might have been similar — Apple was reluctant to give broadcast radio to listeners via a product which was connected to the iTunes music store. That reasoning could have started with the first-generation iPod, explicitly designed to connect users with iTunes, and which conspicuously omitted radio from the feature set unlike other MP3 players. In the Android universe, activating the chip (or not) is a decision each phone builder makes. Unlike Apple, Google licenses Android to a universe of phone makers, some of which do turn on FM reception. This issue is pushed and pulled by market forces. The radio industry would obviously prefer its over-the-air signals to be available on phones, in addition to streaming simulcasts which can be heard via dedication station apps or audio aggregators like TuneIn and iHeartRadio. The NextRadio venture is a leading advocate for on-air listening to radio through phones equipped with the NextRadio app — a specialized tuner through which stations can enhance the broadcast signal with app-like interactivity. One technology trend which discourages the outlook for smartphone radio reception is lowering cost of data use. Streaming media burns through data plans — video much more than audio, but lots of listening can chew through a monthly allowance also. T-Mobile has encouraged audio streaming with its Freedom plan, wherein streaming through dozens of popular online audio services (including iHeartRadio and TuneIn) is exempt from the data allowance. This week, carrier giant Verizon startled the industry by also offering unlimited data plans, slightly more expensive than T-Mobile, but nonetheless offering the safety of worry-free media streaming. (This is a “feels free” consumer value model.) Not to be outdone, AT&T also announced its Unlimited plan available to all subscribers. So, as the trend leans into cheap data, and more than half of smartphones in the U.S. have unactivated FM chips, the FCC’s gentle push might not have much effect on phone makers. And there is the underlying possibility that even if all chips were turned on, users wouldn’t tune in — at least, not the old-fashioned way. work​ ​and​ ​hope​ ​to​ ​read​ ​some​ ​more​ ​interesting​ ​content​ ​in​ ​the​ ​future. thanks for sharing a valuable information,, very useful content…. Pretty cool, phones do have that features and it really helps.